I don’t make any secret of the fact that joining Stampin' Up was one of the best decisions I have ever made! Like so many demonstrators I originally signed up for the fantastic 20% net discount we automatically receive on all orders. 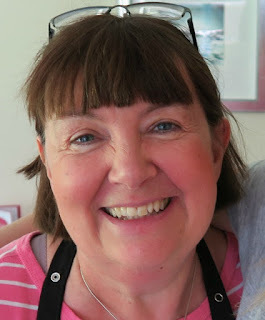 However, my business has gradually evolved from simply buying products for my own enjoyment, then selling a little to friends, to where I am today, with a growing base of lovely customers and a small but expanding team of demonstrators in my downline. To be able to make money doing something I really love is a real privilege! And in addition I have made some fantastic friends and had so many laughs along the way. 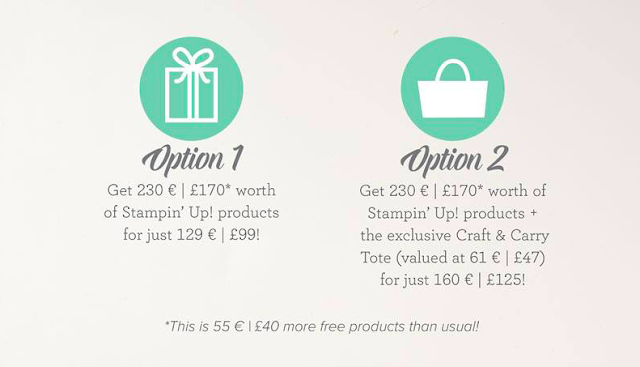 If your Stampin' Up wish list is more than £99, you honestly have nothing to lose and everything to gain! Especially during Sale-a-bration. There are two fabulous offers to take advantage of during our Sale-a-bration promotion. During Sale-a-bration joining up by purchasing the Starter Kit is an even better deal that usual! 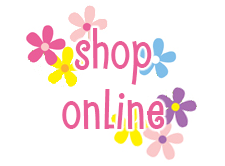 You pay just £99 (FREE SHIPPING) and get to choose £170 worth of product. Absolutely anything you would like to choose from either of our current catalogues (Annual and Spring/Summer - links on the right of my main blog page or contact me for free paper copies). Our normal offer is £130 product for £99, so this great offer is for £40 more for free! I did a quick video showing the Tote in more detail over on my blog pop over and have a peek! If you want to sign up just to get the discount for yourself (and be a "hobby demo"), that is absolutely fine. Or if you'd like to grow a business, there is as much or as little support available from me and our wider team as you need. Now I know all that might seem too good to be true but there really are no catches, nothing to pay back f you decide it is not for you. To remain a demo, just a manageable quarterly minimum of £275 catalogue priced product every 3 months. Some people manage this with just their own purchases. And others try and find customers to help them meet the minimums. If you DO want to run this as a successful business like me, then I will be here to support you every step of the way. My team is small but growing and you will also benefit from being part of my upline's team, which is one of the largest in the UK. I will be ready and willing to offer support, guidance, training, friendship, ideas, inspiration and help, as much or as little as you need. 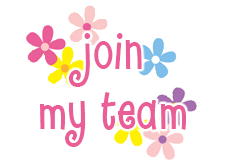 Click HERE to join my team or contact me for more details and/or an informal, no obligation chat on being a Stampin' Up! demo! Anyone, as long as you are over 18 years of age, and live in the UK, France, Germany, The Netherlands or Austria. £99 (129 €) and, during Saleabration, you can simply choose any current catalogue products to the value of £170 (175€). You also receive a business supplies kit which includes catalogues, order forms and everything needed to get your business started. The starter kit is shipped direct to your home for FREE within approx 3-4 working days of signing up. 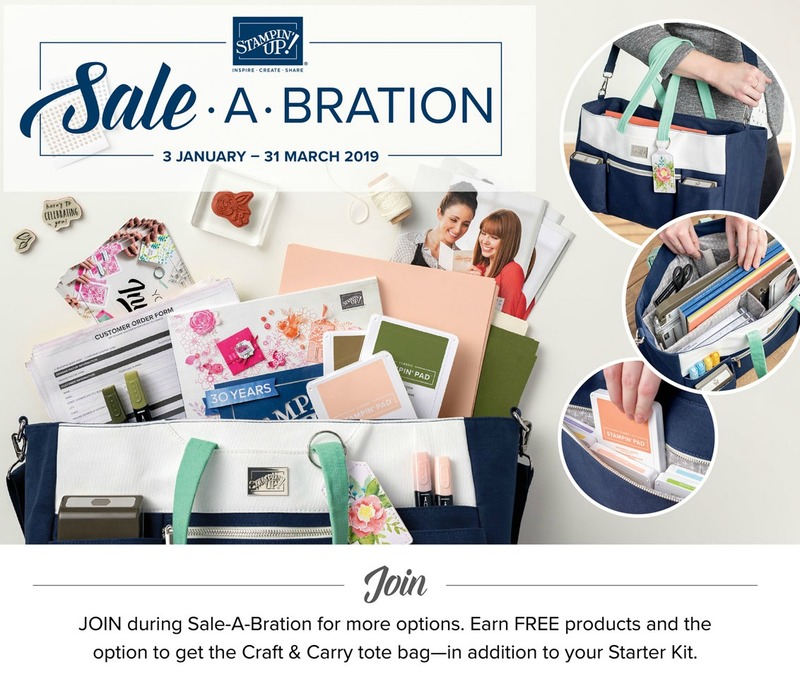 Alternatively you can choose to pay £125 and include the exclusive craft & carry tote to your kit when you join during Sale-a-bration. Absolutely not. You are welcome to join as a “hobby demo”. This means you just buy for yourself anmd take advantage of the discount. However if you wish to demonstrate and run a business, I will be there every step of the way to support you. 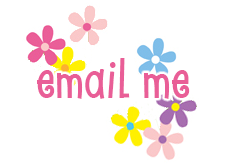 There will be no pressure from me as your upline or from Stampin’ Up! but if you decide you want to start a class or two or sell to friends or customers you can and I am here to support you as much as you need. You are in charge and you set your own targets and goals. It is so easy to share what you are passionate about and Stampin’ Up! offers some great incentives to get you sharing and earning so there is lots of scope to earn, promote and be rewarded simply by sharing what you love and the fantastic products. The quarterly minimum sales target is £275 (300 CSV). That equates to less than £90 a month! Whenever sales are mentioned in the Compensation Plan, they won’t be shown in local currency. In order to make our compensation plan applicable to all markets, regardless of currency, we use a common measurement: commissionable sales volume or CSV. Your first quarterly minimum needs to be reached at the end of a full quarter and if you join part way through a quarter you will be given till the end of the next quarter to reach your minimum. Quarters are as follows Jan-Mar, Apr-Jun, Jul-Sept, Oct-Dec.
Great news is that if you join NOW your first quarterly minimum isn’t due until the end of June 2019! On all orders placed you receive 20% discount off the net product total (or 21% discount off if you are in the Netherlands). You can earn more commission the more sales you make in a month and any extra commission payments are calculated at the end of the month and paid direct in the bank account of your choice mid-way through the following month. You also get the chance to pre-order products a month earlier than the general release as well as very generous offers and discounts including hostess benefits on all eligible orders. When you sign up as a demo, you receive the title of Bronze. As you build your business, you can advance to subsequent titles and if/when you reach the next title of Bronze Elite you will receive 25% discount on your future orders/sales. 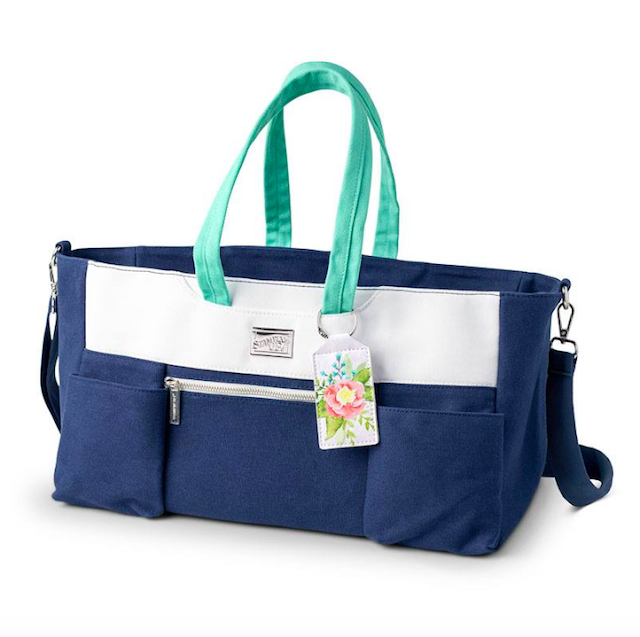 During Sale-a-bration, your own orders also qualify for the Sale-a-bration freebies and the increased Hostess Rewards! I will be available to help you as little or as much as you need. 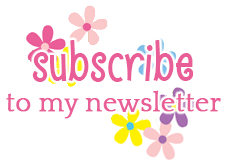 In addition you will be able to access events and training run by my uplines – this includes training events, crafting weekends, get togethers and as much support as you need. There is also lots of info shared on the dedicated demonstrator website. Should I choose a local demo as my upline? You need to make the right choice for you as once you sign up you are unable to change your team leader without resigning and rejoining 3 months later. Everyone is different and I would encourage you to do your research, don’t just look on-line - pick up the phone and talk to the demo direct. Your team leader does not necessarily need to be local to you and you need to consider what it is that is most important to you. I have team members from all over the UK. Please get in touch if you need further assistance or have more questions. I really hope to welcome you to my team very very soon!